The ecommerce boom has created a retail landscape where the quality of customer service is a key differentiator for brands. With more and more contact channels available to customers, the role of a customer service agent is becoming more specialist. Retail contact centre staff must now be able to use the latest technology and leverage it to provide exceptional, tailored customer experiences in order to drive loyalty. Chatbots’ text based computer programmes capable of conversing with a human hold the potential to help on this front. The technology can be used to collate and present useful data to retail customer service agents in real time, in a digestible, hyper-intuitive format. 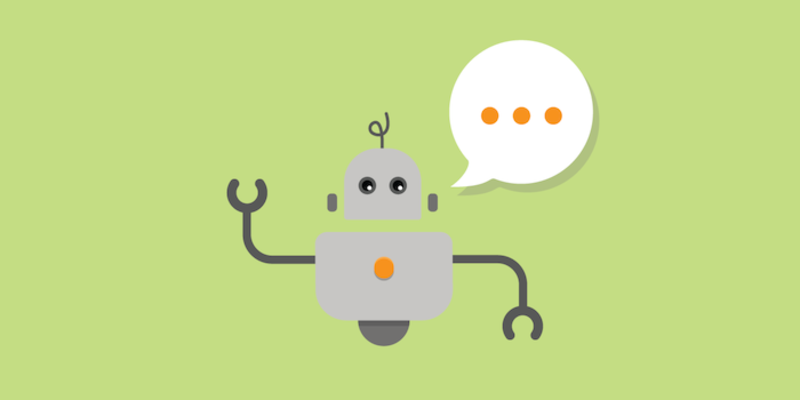 This makes chatbots perfect as a training tool, as a live support system during customer interactions and, more generally, as an intelligent portal staff can use to access the resources they need thrive in an increasingly digital workplace. At the moment, the internal applications of chatbots have played second fiddle to the technology’s well documented customer facing uses. Many brands are integrating chatbots with their own webchat systems to provide fast, human like responses to simple queries made by a customer base that’s increasingly comfortable communicating via text based channels. The good news is that, in principle, agent facing chatbots function in the same way as chatbots designed to deliver customer service to consumers directly. So, by exploring the technology now, forward thinking retailers can lay the ground work for an autonomous support system that delivers exceptional front-end experiences to consumers and supports staff simultaneously. Before retailers can leverage chatbot technology, either externally or internally, they must build a knowledge base, composed of quantifiable, structured data that chatbot engines can draw from to respond to enquiries. This includes a bespoke dictionary of common terms and expressions used by customers, to ensure the bots can converse using recognisable, accurate language. In practice, this means brands must prioritise text-based contact channels, such as webchat and social media, so the content of previous interactions can be effectively captured, processed and catalogued. In addition, retailers must also digitise essential brand information. This information could vary from current stock levels, to details of special offers and return policies. By creating this foundation of digital information and cultivating the channels that can be integrated with chatbot technology, brands can a create a live resource that streamlines all the data an agent would ever need to do their job effectively, ultimately giving them the tools to succeed in a more demanding, technologically driven role. For now, most chatbots are limited to processing simple tasks, governed by a predetermined set of rules that allow them to mimic human interaction. They are unable to handle complex enquiries or lead detailed conversations. Advances in Artificial Intelligence (AI), or cognitive technology, has the potential to address these limitations. Soon, chatbots will be able to undertake complex speech comprehension, recognising user intentions down to the tone of their language and sentiment in their voice. This will enable the chatbot to learn more about the staff member it supports during a conversation and provide a completely new level of quality and efficiency in dialogue and support. This leap forward is still some way away, but in the meantime, retailers can prepare by implementing pilot projects that test the impact of chatbot technology internally and externally. Identifying specific agent support functions with simple, pre-determined set responses, like FAQs, is a good place to test the water. They can also start to build the knowledge base which more advanced chatbots will refer to later down the line, such as product and process information and agent training materials. Recruiting with digital skills in mind is also sensible. Chatbots can be leveraged as a method to train staff to use new technology, but they still require a basic understanding of digital tools to be effective. What’s clear is that chatbot technology can play an important role in supporting the workforce of the future, retailers just need to start acting now to take advantage.